Celeste Gerber says an unexpected experience with cannabis inspired her to open a recreational cannabis store with her husband in Swift Current, Sask. The pair were living and working in Calgary when she was diagnosed with breast cancer. Someone she knew had been through a similar experience and offered to help. "He passed me a little package across the table and said, 'Oh, hun you're going to need this,' " she told CBC Radio's Blue Sky. The package contained cannibis-infused watermelon hard candies, according to Gerber. She put the candies in her pocket and didn't give it a second thought — until she began treatment. "After my second chemo treatment I was just completely and absolutely stoned from the drugs they were giving me at the hospital," she said. "They worked really well, but I just wasn't feeling like myself." Gerber didn't know if she could keep taking the medication, so she tried taking one of the candies as a different approach. "It was like the clouds parted and the sun just poured down on me," she said. "It was just wonderful." 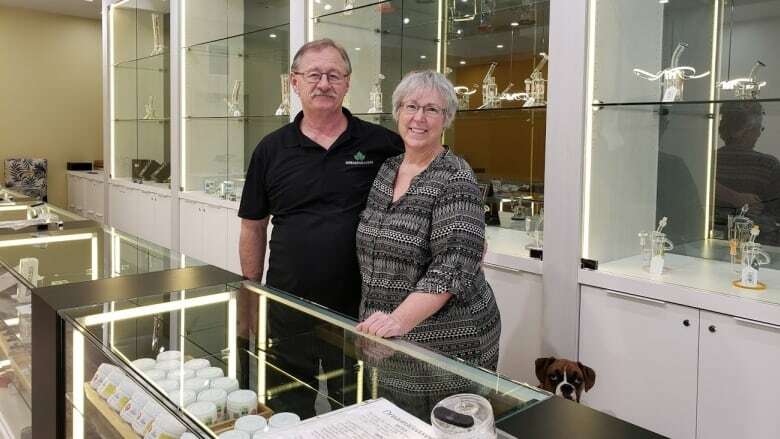 The experience made her want to open a shop with her husband — both of whom are from Saskatchewan — as a way to make cannabis more available. "When we heard Saskatchewan was going to do a lottery, which is what we thought was a fair way of doing things, we jumped at the chance to move back," she said. They applied for retail licences in four places — Swift Current, Unity, Rosetown and North Battleford. "We picked places we wanted to live," she said. "We were lucky enough to win in Swift Current." 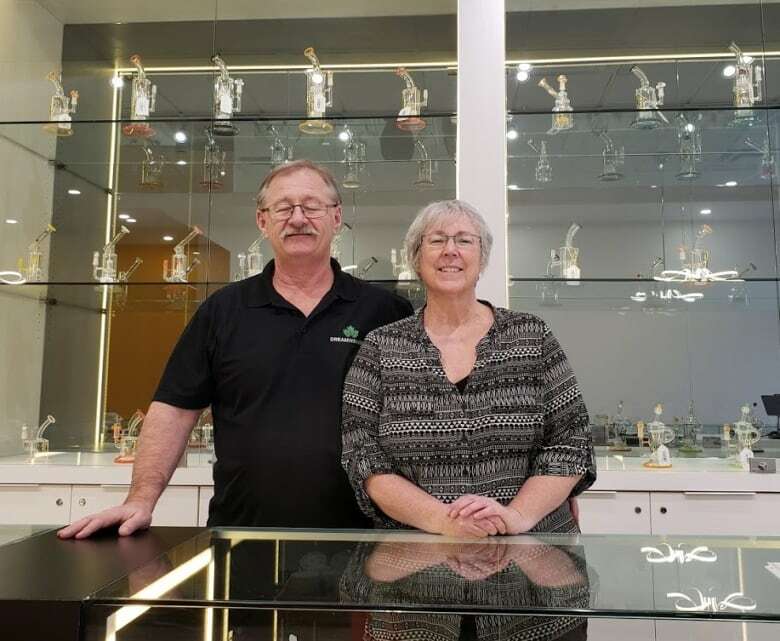 The pair the began working on Swift Current's first legal store for recreational cannabis, Dream Weavers Cannabis Products Inc.
Gerber says everyone has been "overwhelmingly friendly and welcoming" since the store opened its doors on Dec. 31. There was some concern about the store opening up in the downtown core, but she says city council chose the location as a way to revitalize the city's core. Gerber says her experience has been "completely different" from what she was expecting. "We have heard from a number of customers that have come into the store that their doctors recommended they come down and purchase some product from us," she said, noting that it's illegal for recreational cannabis store operators to offer medical advice for using marijuana. Nevertheless, Gerber believes the store is a way to give back to the community.